As we follow our nation’s debate regarding our “Dreamers” and recipients of DACA, it makes me think of where our friends, family, and community members could end up in the very near future. A bit closer to home, however, it makes me think of children who might not know where they’ll end up tonight or tomorrow. Currently, there are nearly 1,000 children in foster care in Region 5 of Georgia, consisting of Jackson, Madison, Elbert, Barrow, Clarke, Oglethorpe, Oconee, Walton, Morgan, Greene, Rockdale, and Newton counties. Between 2009 and 2015, the number of children in foster care in Athens alone tripled from 85 to 236 children, while the overall number in Georgia nearly doubled since 2013. 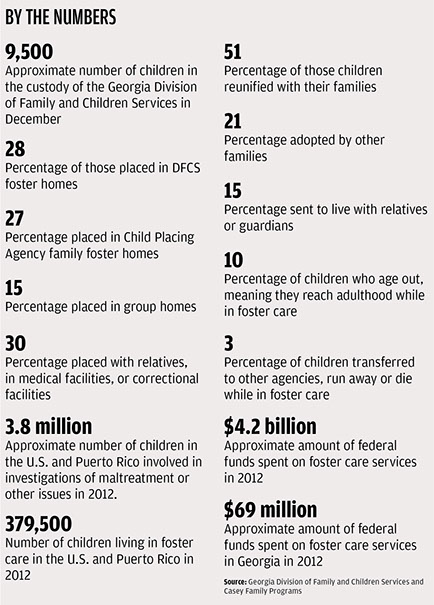 Clarke county is among the highest need areas and with about 240 children in foster care, the number varying day to day, there are only 18 foster homes in Clarke County registered with DFCS. While these numbers are devastating, the increase, 11,551 currently in DFCS custody (numbers vary based on the week or day) could potentially be attributed to something positive–catching kids who have previously slipped through the cracks prior to the increase of DFCS funding. While this surge has led to a shortage in foster care homes, Representative Frye is exploring our current situation in Georgia in order to better this situation for our kids.